Life holds lots of surprises, and you don’t want an inflexible life cover plan to be one of them. Most insurance plans will allow you to change the level of cover and the cover term where necessary. There are many reasons why changes in life cover are necessary. You may for example, buy a house, move house, get married or have a civil partnership, have children or adopt, or you may simply want to increase or extend your cover. You may need to take out a new policy or extend your original policy if you increase or extend your mortgage. However, it is worth bearing in mind that this is only possible if you opted for the mortgage increase and extension option in the first place, and it might be subject to certain policy terms and conditions. Your insurance provider may even change the terms of your policy to reflect any changes in taxation, insurance or other law affecting their obligations. Changes to your home or family life are important because they could result in a shift in your priorities and responsibilities. As your family grows or your house becomes a greater asset, you will need a life assurance policy that reflects these changes. If you do have a major life change, get in touch with your insurance provider and let them know. Increases in cover/policy term may be subject to your age, health, occupation and pastimes at the time, so your provider may need to check through a few things with you. However, if you’re under the age of fifty and in good health at the start of your policy, your plan may include options which allow you to increase or extend your cover without further evidence of health, occupation or pastimes for certain events. Nevertheless, changes may be subject to your plan’s terms and conditions, so you should always check your policy’s key facts or policy document to be sure. 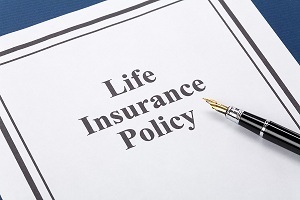 So as you choose your life insurance provider, one question you might want to ask yourself is: how flexible are their policies? You will want to work with a quality provider who will protect your family financially.